Your driveway is something that requires to be built tough. It has to stand up to not only all the extreme weather that mother nature can throw at it, but also a lot foot traffic and the weight that comes with vehicles. A concrete driveway is the best solution. Concrete is tough but can also be built and installed in a way that can help to boost the look of your home. As part of our concrete services we can provide your home with a new driveway, one which you know will be guaranteed to last. It might be obvious, but concrete is durable and tough. This is exactly the combination you need when it comes to a driveway. A concrete driveway can withstand the necessary weight and force that it’s required to, year after year. Along with this it can also be out in the elements without accruing major damage. This means a long-life span, with little maintenance required. Take it easy, knowing that your new driveway will always stand up. Our concrete contractors know how to give you real value, with a driveway that’s built to last and withstand everything it comes up against. One of the other great benefits of a concrete driveway is that it’s relatively easy to install. It doesn’t take long before you are enjoying a new concrete driveway, and our team is out of your way. We know that having anyone working around your home can be inconvenient, especially if they are working right in front of your home and making easy access a little tricky. We have all the necessary skills and experience to complete the work quickly and let you get back to enjoying your home without any hassle. This just means you can enjoy a great addition to your home with less stress. Given its durability, concrete is the perfect cost-effective option for any driveway. 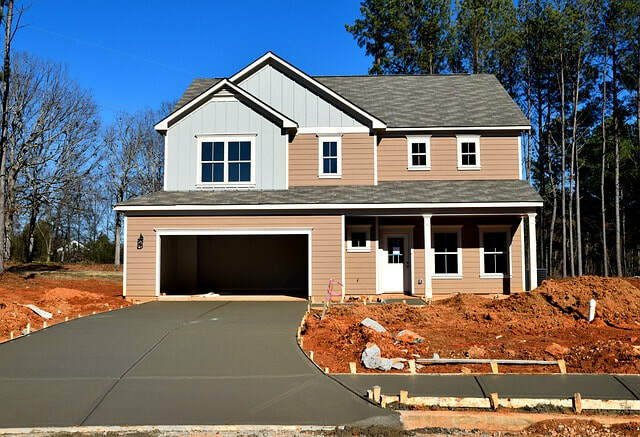 Concrete driveway cost is affordable but not the cheapest driveway option, given it can stand up to the tremendous weight necessary for a driveway and can survive out in the elements, there’s less need for maintenance, and the expensive bill that often goes with it. Along with this, given its ease of installation, it saves you money on labour too. Save money and get something that’s really going to last and give you a lot of use. That’s got to be close to the perfect combination. A concrete driveway, given it sits right out in front of your home, is a crucial element in the curb appeal of your home. Concrete, although durable and tough, is not very naturally visually appealing. You need the durability and strength concrete has for your driveway, but you also want something that makes your home stand out. Why not get both? We provide stamped concrete as part of our services, which is the perfect thing to give your concrete driveway that appeal it would otherwise lack. We can provide you with the perfect combination of durability and visual appeal. Is a Concrete Driveway The Right Choice For You? A well-constructed driveway can attract a good deal of attention when someone is visiting your house. Nowadays, the majority of the homeowners go for a concrete driveway due to the various benefits it gives. A concrete driveway offers durability that's a critical factor for driveways. People are selecting concrete over gravel or asphalt as it is a versatile material not just for the driveway but additionally for floor and porches. A concrete driveway is costlier in comparison with an asphalt one; however, it is important to notice that a concrete driveway is more durable, looks nicer, and requires less maintenance. A driveway made out of concrete can last for more than 20 years with a little upkeep if it's done right. The only thing you'll need to do is apply a concrete sealer to avoid wearing and to prevent stains over time. If you see plain concrete as dull and boring, Concrete Pros Bend can color and stamp it for a lovely and attractive look. 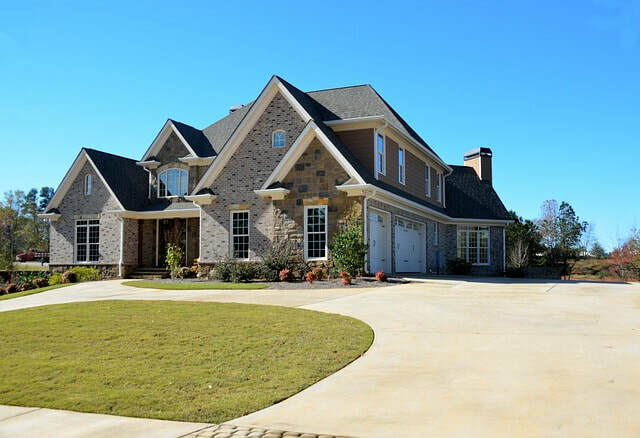 Driveways made from concrete can improve both the appearance and value of a house in addition to providing a dry and flat place to park a motor vehicle. The concrete driveway cost can be less if you do it yourself, however, that is not recommended since there are a lot of tips and tricks that a professional concrete contractor like Concrete Pros Bend can offer you that's been acquired through years of experience and working to bring total satisfaction to customers with our concrete work. There are numerous patterns which you can give your driveway made of concrete. These patterns will help to add not only visual satisfaction but also will add long lasting value to the home. The biggest benefit with concrete is that it can be molded into any pattern, texture, shape, and color that you desire. Pattern stamping is an excellent way to improve and add elegance to an ordinary concrete driveway. The thing you will need to make sure before deciding to get a concrete driveway is that the concrete is of high quality. To increase the lifespan of your concrete, it is essential to keep it sealed and clean. Using concrete sealer once a year can provide excellent protection to your driveway. Stains, if any, should be washed immediately upon notice.